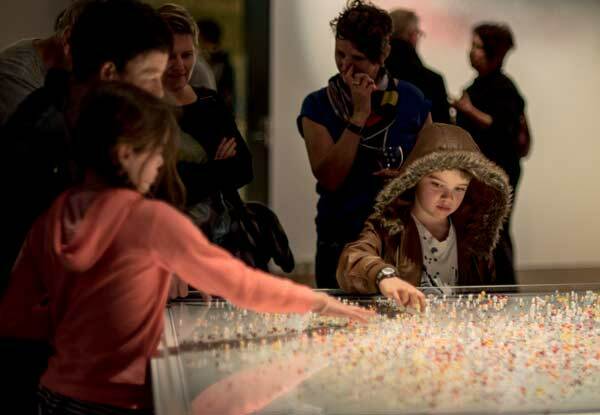 transfer is part of an investigation onto the invisible matter. 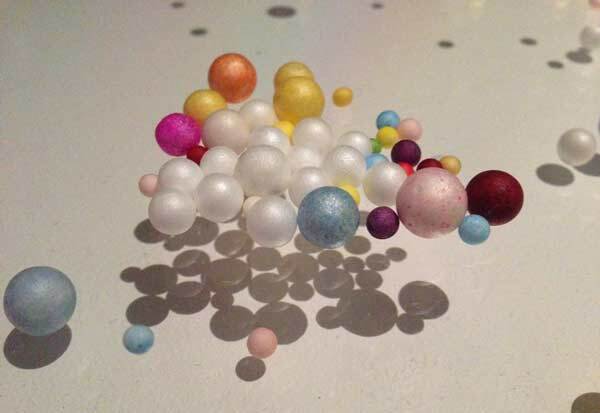 In transfer, Ferracin uses mass-produced polystyrene beads, which become charged with static electricity during the packaging process. 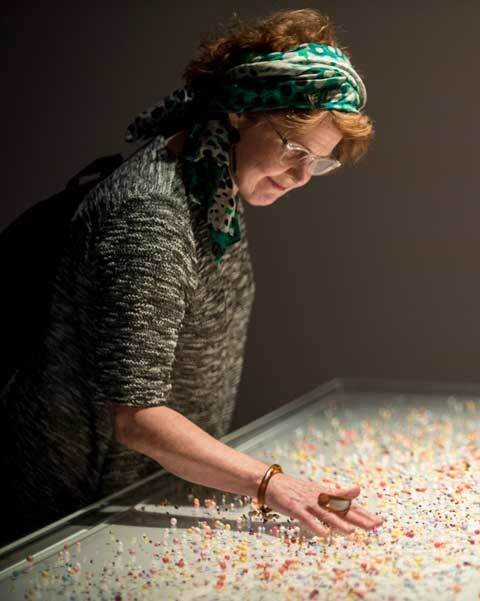 The viewer is invited to touch the charged surface of two transparent acrylic panels, which contain the polystyrene beads. 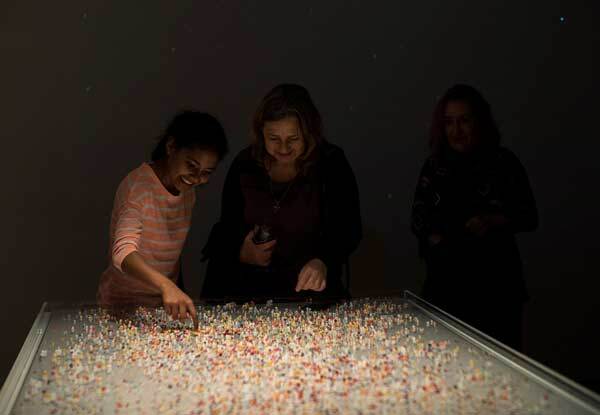 By transferring static electricity to the picture plane, the viewer is able to manipulate the coloured beads and create a new pattern. 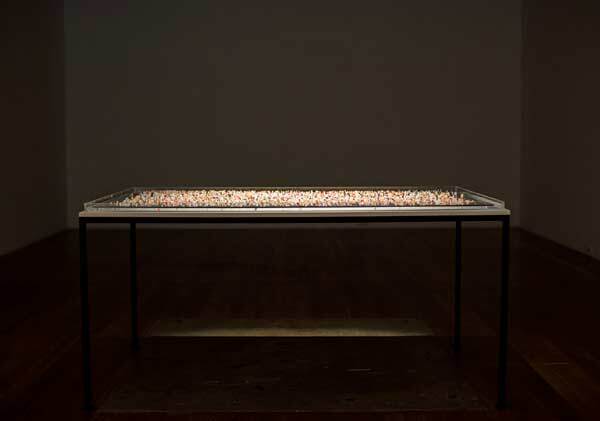 This kinetic transferal of energies aims to heighten the sense that the viewer is an active part of the work, thus creating proximity between matter and the physical body. The work creates a subtle balance of synergetic oscillations between the visible and the invisible, the animate and the inanimate, human and material. By creating polarised colour field, transfer also references colour theory in painting, specifically the technique of pointillism in which small dots of colour are assembled together to create a vibrant image.